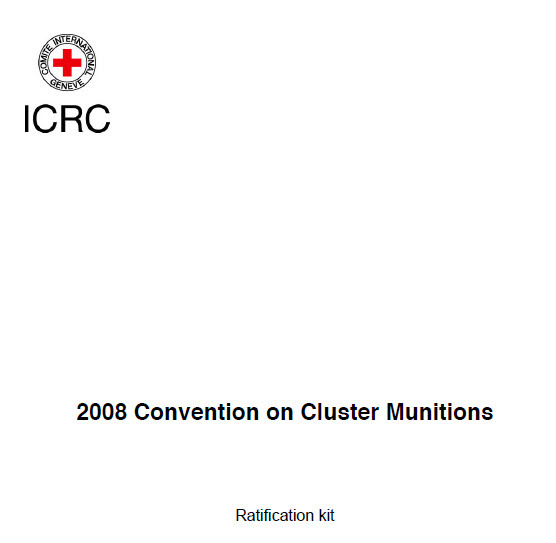 The ICRC Ratification Toolkit describes the procedures that most States have to follow in order to ratify or accede to the Convention on Cluster Munitions. It also contains model instruments of adherence to be filed with the depository. These instruments have been prepared in consultation with the Treaty Section of the United Nations Office of Legal Affairs in New York. The aim of this Toolkit is to ensure that the Convention, which provides a comprehensive framework for addressing the long-standing humanitarian issues associated with these weapons, is widely adhered to and fully implemented by States. Full text versions of the Ratification Toolkit is available in English, French, Spanish, Arabic and Chinese.